At ioby, we often talk about the many non-monetary benefits of crowdfunding for neighborhood projects. When local leaders crowdfund, they strengthen relationships in their community, build their own capacity to lead, and encourage the buy-in that creates lasting community stewardship, among other perks. But there’s another important facet of crowdfunding that’s neither the money raised during the campaign, nor these types of non-financial equity. It’s this phenomenon: a successful round of crowdfunding has the power to attract other types of funding to your project. Don’t get us started about the many benefits a community garden can bring to your neighborhood. From increasing access to fresh produce, to encouraging outdoor exercise and social interaction, to improving air and soil quality, to reducing crime, the list of perks is quite long. What gets less press are the problems many community gardens face, from theft to toxic soil to culture clashes. That list is fairly long, too! Those of us in the northeast are currently bracing for Winter Storm Juno, which is slated to pummel us tonight and into tomorrow. But even if you’re not facing a blinding blizzard, late January is still a perfect time to hunker down with a cup of hot cocoa and catch up on your reading. To this end, we’re very pleased to drop our latest resource guide to getting good done tonight. 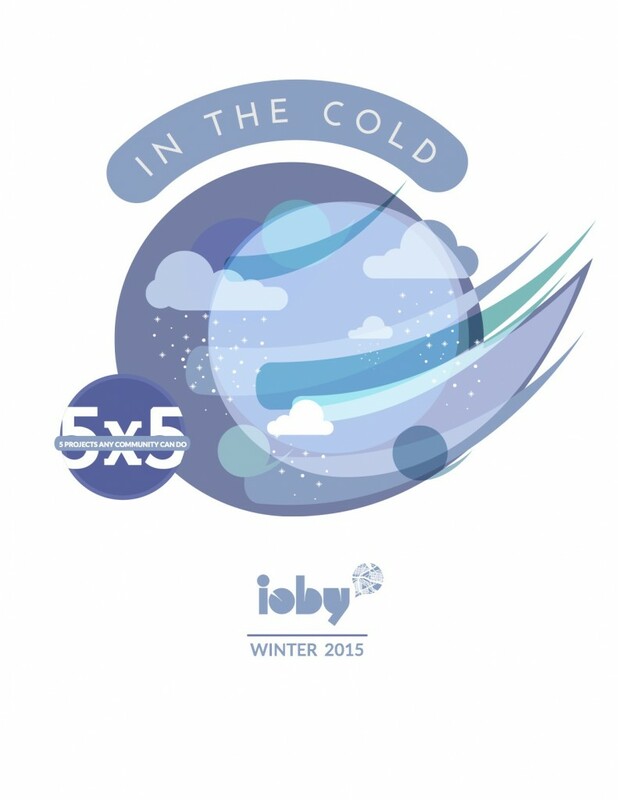 The ioby Getting Good Done Guides illustrates five projects any community can accomplish together in five steps. This one is all about the unique opportunities winter affords for cool communal involvement; it’s called In The Cold. Where else can you learn how to build an all-season outdoor pavilion, throw a successful winter event in your community garden, and harness snow to help your city make improvements to pedestrian infrastructure? We recommend letting it download while you mix up your cocoa, then enjoying both from the comfort of a warm set of flannel pj’s. We’re always grateful to the esteemed contributors who make our guides possible, and to our readers, who send us actionable feedback and heartening stories about their experiences. Please keep your messages coming! Please stay safe during the storm, too. There will be a great need for snow-person building later this week!